Warm yourself with this winterfest brown ale. Our take on a winter seasonal ale brewed with nutmeg, allspice, cinnamon, honey, molasses, and other winter favorite spices. 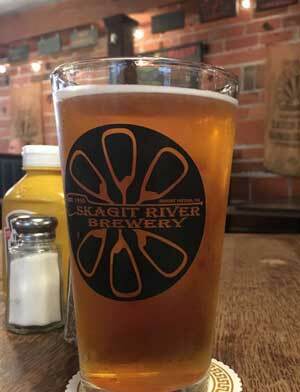 Local malts from Skagit Valley Malting and hops from Yakima Chief Hops. Our new signature IPA. Not overly hoppy, a good balance for light and heavy IPA drinkers. Hop Heads of the world unite!! This is an IPA for the IPA lover. Made with only Mosaic hops this extra cloudy IPA brings a "jucy" flavor that only New England IPA's possess. Made with Yakima Valley Hops and Skagit Valley Malt.